“In short I found nothing but what delighted the finer senses while in Japan,” gushed a usually rather snide Nellie Bly. 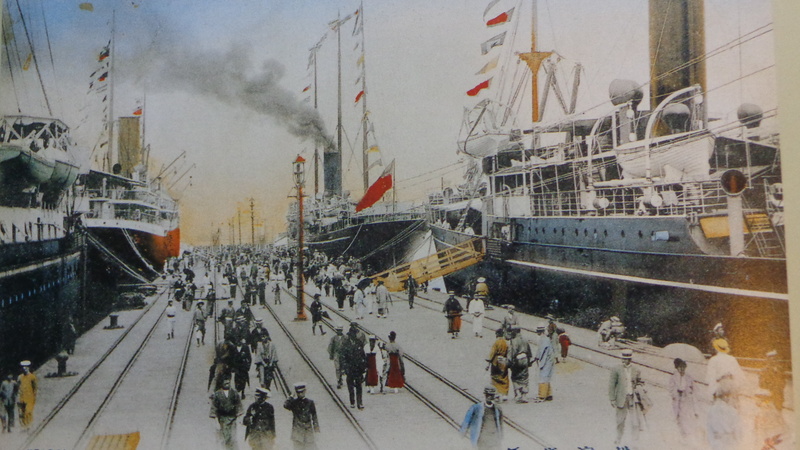 Her port, Yokohama, 20 miles outside Tokyo, had a ‘cleaned up Sunday appearance.’ That was in 1890. By 1923, almost everything had vanished – swallowed by the Great Kantō earthquake that claimed the lives of 30,771 and injured 47,908. 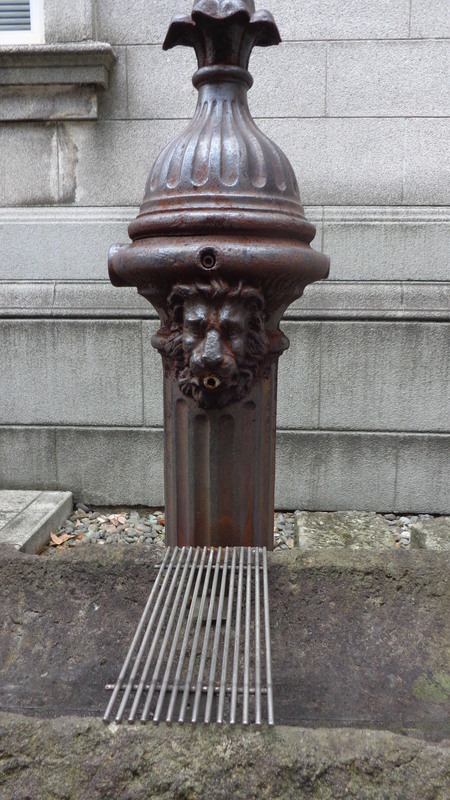 An ornate iron water tap, one that lined the streets every 300 yards when the city’s waterworks were installed, was among the scant physical evidence of Nellie’s time. 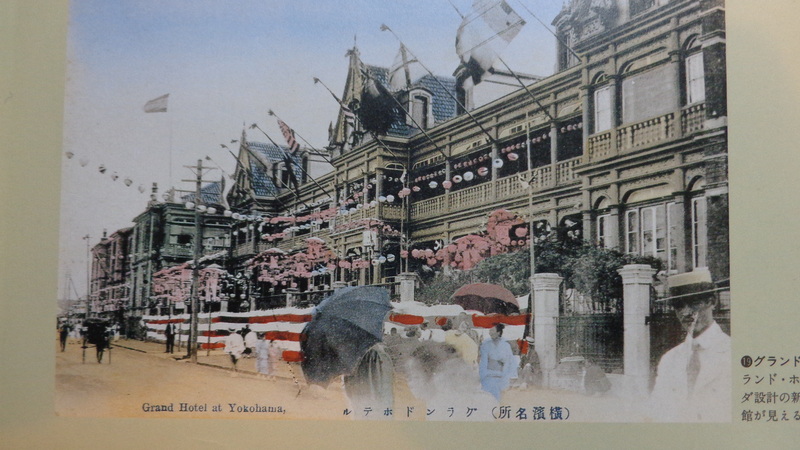 It was in the garden of the Yokohama Archives of History – the former British Consulate built after the earthquake. The Grand Hotel described by Nellie as good ‘barring an enormous and monotonous collection of rats’ was long gone. The city’s celebrated Doll Museum has taken its place. The Grand Hotel which Nellie described as good despite a colony of rats. A new Grand Hotel built in 1927 still stands in Colonial splendour at the port. The concierge there took time to explore the area’s history with me. 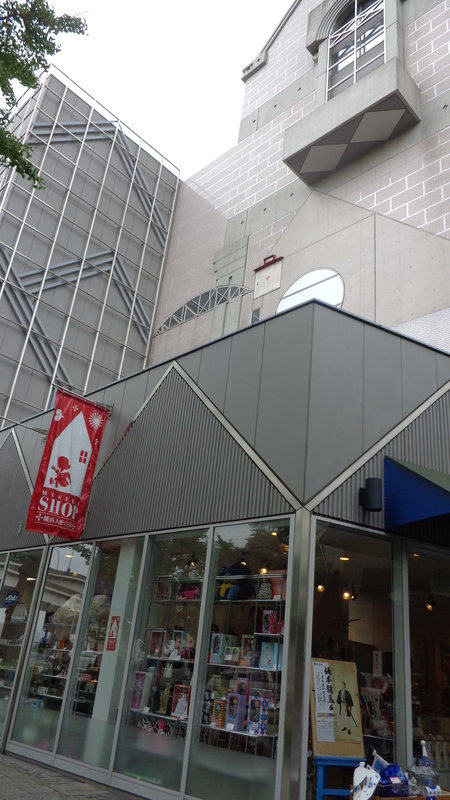 Yokohama’s Doll Museum now occupies the spot where the Grand Hotel once stood. So did Yuki Saito at the Museum of Cultural History. She combed her collection for books, photographs and vintage postcards to bring Nellie’s time in Yokohama to life for me. Nellie landed at the Port of Yokohama, now the 31st largest in the world, at Osanbashi Pier. The port’s oldest pier, today Osanbashi is the site of an ultra-modern wave-shaped international passenger terminal, one of Yokohama’s premier landmarks. 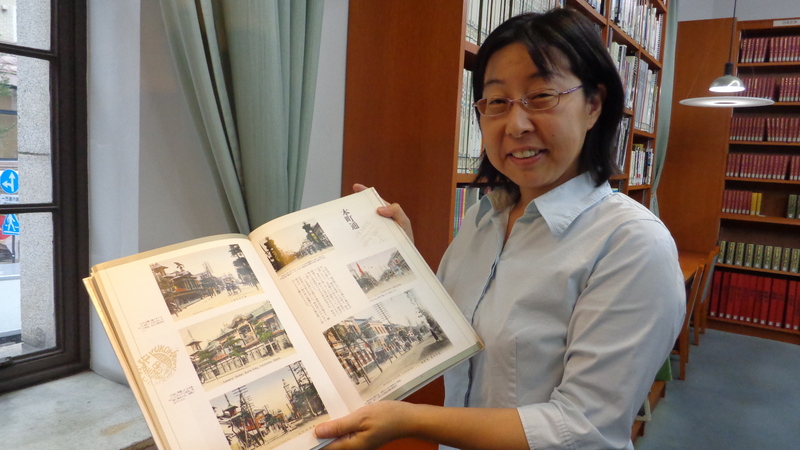 Yuki Saito shared postcards of Yokohama’s Colonial Period.